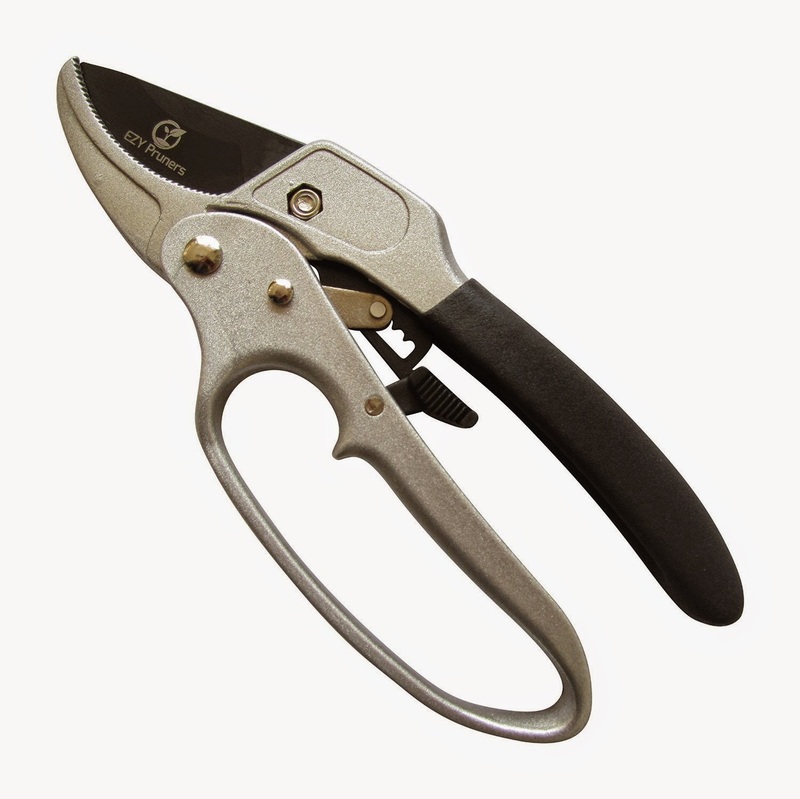 Easier Cuts With Less Effort Makes Pruning A Breeze! A great solution to allow gardeners to enjoy greater cuts with less effort, while getting more pruning done! The non-stick, teflon coated, Sk-5 blade slices through just about anything in it's way! Many gardeners will be able to benefit from using this and will love it as a gift to use almost anytime of the year. Particularly as spring approaches! Its spring time, so that means freshening up the garden area. Having a good pair of pruning shears is a must. Prior to these I had a cheap pair from a local mass retailer, and while they worked, over the past few years they just declined. Didn't cut much anymore. When these arrived in the mail, I had many jobs for them lined up! I wanted to trim back a few of my greenery bushes, and I also had a few bushes that suffered damage from winter that needed some sprucing up. These easily cut through them, and were quite simple to use. I also used these on a few small tree branches that suffered damage during the harsh winter as well, and they would cut the whole thing with 2 squeezes. Very nice job at pruning, I was quite pleased. I liked how the blade would open plenty wide to accomidate any width branch that needed to be trimmed. Most of my shears only open so far and thats it. I am giving these a 4 out of 5 star rating for one reason. They are quite large for my hands. I have average sized hands for a woman, and these are pretty big for me. I found myself having to use 2 hands just to have a tight grip on them. These are definitely better equipped for a man with average to large sized hands. Just something to keep in mind if you have smaller hands.